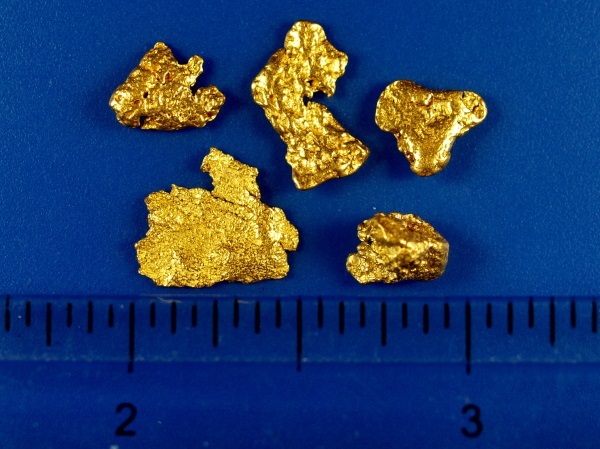 Here are five beautiful gold nuggets from Victoria, Australia. The larger piece on the bottom left is an interesting thin piece of natural gold leaf. The combined weight of all the gold is 3.85 grams.